Critically examining elements of both anthropocentric and non-anthropocentric environmentalism in ancient Greek thinking. differently if the environmental ethical import that is salient in it is critically considered. After pointing out how environmental ethics is generally construed in much of the discourse on current philosophical thinking, I spell out some unexplored elements of anthropocentric and non-anthropocentric environmental ethical thinking that are implicit in ancient Greek philosophy. I seek to critically challenge some common notions in Western environmentalism that take environmental ethics as a fairly new discourse of the twentieth and twenty-first centuries. Ultimately, I suggest that ancient Greek philosophical thinking ought to be judiciously interpreted from an environmental-ethical perspective. Overall, I critically interrogate elements of both anthropocentric and non-anthropocentric environmentalism in ancient Greek thinking, with the intention to examine the contribution of ancient Greek philosophy to environmental ethical thinking. In this article, I intend to situate environmental ethical thinking within a particular epoch in the broad history of Western philosophy. I critically trace and examine how some ancient Greek philosophers considered the question of whether and how human beings’ ethical relationship with the natural environment should be construed. The idea is to find out the way in which ancient Greek philosophy could be taken as having contributed to the understanding of environmental ethics throughout the history of philosophical thinking. 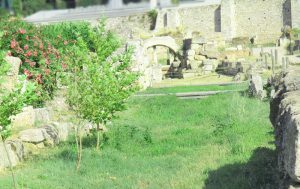 The justification for situating environmental ethics within the history of ancient Greek philosophy is that environmental ethics is a component of applied ethics stemming from ethics, broadly conceptualised as propounded in ancient Greek thinking. 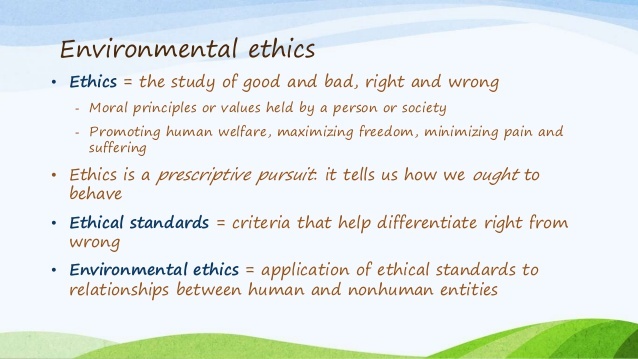 Environmental ethics is also part of environmental philosophy. Hence, in that regard, I find it reasonable to situate environmental ethics within the history of Western philosophy, particularly in ancient Greek thinking. The other reason for my attempt in situating environmental ethics in the history of ancient Greek philosophy is that environmental ethics is not merely a contemporary philosophical movement without an antecedent past. So, for these reasons, it is important to assess the background from which environmental ethics is coming. In view of such notions, I forward the argument that environmental ethical thinking has been intertwined with the general history of ancient Greek philosophy and that it has not been critically and elaborately presented in the history of philosophy, despite a number of philosophers having invariably contributed to it. I also critique the way in which environmental ethics is approached in much of the discourse in twentieth century and contemporary philosophical thinking. Above all, my intention here will be to show that environmental ethics has traditionally been a component of the history of Western Greek philosophical thinking. This is why I maintain the position that environmental ethical thinking can meaningfully be traced from classical Greek philosophical thinking to contemporary philosophical attempts that seem to downplay the antecedent past in terms of influence on environmental ethical thinking. I start by defining environmental ethics and critically examining the various dimensions and understandings of it. In this pursuit, I intend to come up with a contemporary view and understanding of environmental ethics that is largely informed and influenced by the history of Western Greek philosophical thinking. In the second section, I highlight some perspectives that take environmental ethics to be a new discourse. Lastly, I make a serious attempt to critically trace, examine and understand the historical roots and development of Western environmental ethics from the ancient philosophical perspectives to contemporary views. As I situate environmental ethics in ancient Greek philosophy, I seek to critically challenge the position that environmental ethics is a relatively new ethical discourse of the twentieth century, as espoused by most contemporary Western thinkers on environmental ethics such as Warwick Fox (2000, 1) and Judith Boss (2008, 735). 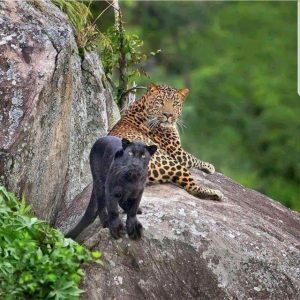 The question concerning the ethical relationship that ought to exist between human beings and other non-human beings and their surrounding remains at the core of Western environmental ethics and African environmental ethics as well. Contrary to Edgar Morscher, Otto Neumaier and Peter Simons’s view that “human beings are not the only creatures which have moral standing, and that not only human interests give reasons for action” (1998, 9–10), traditionally, human beings have tended to look at themselves as the only morally superior creatures on planet Earth. This view is based on the assumption that human beings are the only rational animals. It has also characterised much of Western philosophical thinking from the classical period to date, despite some non-anthropocentric attempts to consider environmental ethics as worthwhile. Such a view, which I will consider here as largely shaping anthropocentric environmental ethics, has been held and largely influenced by thinkers like Plato, Aristotle, Augustine, Aquinas, Descartes, Spinoza and Leibnitz. and individualistic, and contrasted with its African counterpart which [is] described as eco-bio-communitarian” (Tangwa 2006, 392). Although Tangwa’s argument for African environmental ethics as oriented towards the ecosphere, the biosphere and the human community sounds reasonable, to blanket all of Western environmental ethics as anthropocentric – as he has done – would be inaccurate. I say this since elements of non-anthropocentric environmental ethics can be noted in Western environmental ethics as well through various perspectives like the bio-centric, the eco-centric and the zoo-centric perspectives, among others. Also, meaningful environmental ethics is not to be found in non-anthropocentric environmental ethics alone. Rather, totally rejecting anthropocentric environmental ethics would be unreasonable and problematic. Anthropocentric environmental ethics, as I trace it in the history of philosophy, does not entail a total disregard for the environmental welfare and well-being. In essence, anthropocentric environmental ethics could sometimes be viewed as safeguarding the needs of both human beings and nature – although it prioritises the interests of human beings. Much of contemporary environmental ethics tries to question the extent to which the interests of human communities could be reconciled with those of non-human communities. Furthermore, it tries to assess the way in which the interests of future generations could be successfully talked of. Environmental ethics tries to address the question of how the task of taking into consideration the interests of the current generations of humans and their future generations, as well as the interests of the environment, could be reasonably achieved. This approach or form of environmental ethics is often informed by anthropocentric thinking that prioritises the interests of the human community. Of course it is important to admit that some environmental ethicists are anthropocentric in approach, while others are not. Traditionally, environmental ethics is partly informed by some needs of safeguarding the needs and interests of current and future generations. Attempts to consider the moral interests of future generations and the environment in themselves have been conspicuously inherent in traditional Western philosophical discourse. However, it is not until recently when non-anthropocentric environmental ethical concerns began to be critically explored in the literature, as espoused in most debates on the need for environmental ethics in contemporary Western philosophy. In advancing this viewpoint, Arne Naess argues that “today, a leading responsibility of humankind is the responsibility for future generations; that we hand down a planet with resources as great as we found in our own generations. But we also have a responsibility for future living creatures in general” (Naess 2002, 102). Thus, the requirement to safeguard the needs of current and future generations, as well as the interests of other non-rational creations in their own right, remains at the core of contemporary environmental ethics in the Western world. The value that the natural environment has apart from that of satisfying humanity alone, is one of the major bases for the justication of much of recent non-anthropocentric environmental ethics. It calls for the moral consideration of human action in so far as humanity interacts with the natural environment. This is the philosophy guiding and shaping the greater part of contemporary Western perspectives to environmental ethics. On the other hand, the reason why environmental ethics needs to be considered without necessarily prioritising human interests alone, is that human actions on their surrounding natural environment affect not only fellow human species alone. Rather, human actions can also have long-term effects on other sentient beings and non-sentient reality that constitutes the environment. This is why I consider both anthropocentric and non-anthropocentric environmental ethics as having a broadly normative function towards both humanity and the environment. O’Neill also sees normative ethics as crucial to environmental ethics because it “deal[s] with particular ethical claims including those at the centre of environmental ethics concerning environmental change and its effects on human and non-human beings” (O’Neill 2001, 164). Practically, environmental ethics challenges humanity to critically rethink its actions with regard to how they can affect and change human and non-human communities. As Warwick Fox sees it, “environmental ethics is, or at least ought to be concerned with examining any or all ethical questions that arise with respect to a moral agent’s interaction with any or all aspects of the world around her or him” (Fox 2000, 1). 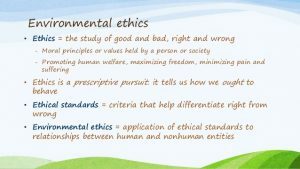 Unlike other applied ethical disciplines like medical ethics and business ethics that are limited to human communities and the welfare and well-being of fellow human moral agents, environmental ethics goes beyond in its approach and attempts to be holistic in so far as it takes on board all there is in evaluating human action. This thinking is based on the assumption that the interests of both the human beings and the environment must be equal. Despite this justification for non-anthropocentric environmental ethics being based on a somewhat human-centred ethical thinking, it is reasonable to take Peterson’s justification for environmental ethics as it considers the relationship between human beings and the natural environment. Peterson’s argument takes into account the principle of equal consideration of interests between human beings and the natural environment. 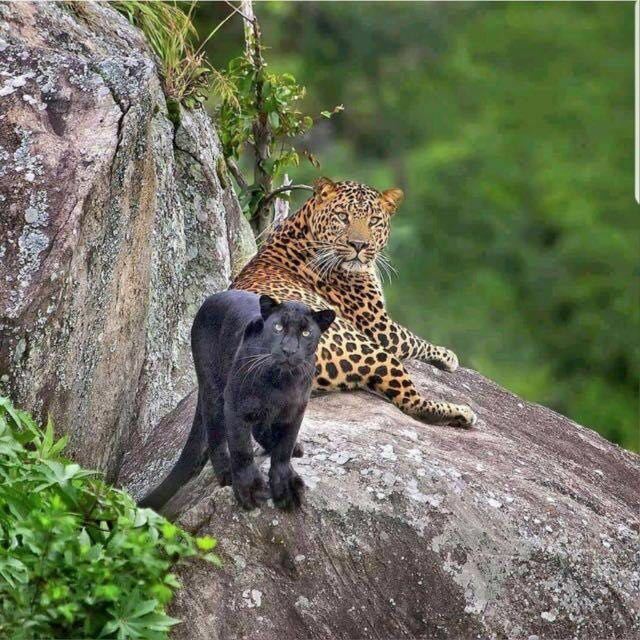 This interconnectedness between human beings and nature is visible in African environmental ethics that I will consider later. Although focusing on the pre-colonial metaphysical outlook, Tangwa (2006) alludes to this interconnectedness between humanity and the environment as he argues that “the pre-colonial traditional African metaphysical outlook can be described as eco-bio-communitarian, implying recognition and acceptance of interdependence and peaceful coexistence between earth, plants, animals, and humans” (Tangwa 2006, 389). their well-being and that of the environment as well. This perspective is what I consider as a reasonable version of anthropocentric thinking. On the other hand, my argument for appreciating and accepting non-anthropocentric environmental ethics as more reasonable is centred on the premise that, apart from serving human interests, the environment deserves to be given moral consideration as an end in itself that also stands to further its purpose in life. While looking at the contribution of African philosophy, thought and practice to environmental ethics, Kelvin Behrens submits the argument that “an obvious implication of any position that holds that everything in nature is interdependent is that the well-being and continued survival of human beings is dependent on the health of the environment” (Behrens 2011, 54). Although this approach to environmental ethics that is centred on interconnectedness sounds anthropocentric, it is reasonable and acceptable since it safeguards the interests of both human beings and the natural environment. While I argue that environmental ethics is relatively inherent throughout the history of Western philosophy, particularly in ancient Greek thinking, I take as suspicious some contemporary Western as well as some African philosophical perspectives that take it to be a relatively new discourse of the twentieth century (O’Neill 1993, 1). This view by O’Neill is also shared by Tangwa as he sees the development of environmental ethics as a result of “the increasing realisation of the very grave dangers posed to our entire planet by what might be described as the most successful aspect of Western culture, namely, its science and technology” (Tangwa 2006, 387). This perspective on environmental ethics is influenced by some contemporary Western viewpoints of environmental ethics that I challenge in the next section. Boss subscribes to this contemporary Western position that “the environmental ethics movement is a relative newcomer on the philosophical scene” (Boss 2008, 735). The view that environmental philosophy is a new thinking is advanced by the way some contemporary environmental philosophers have reacted to the increasing global environmental challenges facing the globe such as water and air pollution, extinction of rare species, heat waves, and global warming. Overall, a considerable body of literature on environmental ethics has been identified in Western contemporary environmental ethics. The works of Lynn White (1974), O’Neill (1993 and 2001), Singer (1985), Naess (2002), Fox (2000), Elliot (1997; 2001) and Callicott (2001), among others, almost suggesting that environmental ethics could be related to the current environmental challenges facing the globe. These environmental challenges are what most of these thinkers have in mind. However, contrary to the standpoint by O’Neill, Tangwa and Boss, I argue and maintain that environmental ethics, broadly understood, has always emerged as an ethical philosophical discipline that challenges humanity to rethink their position within the cosmic world. Another dimension to justify the existence of contemporary Western environmental ethics is explored by Fox who attributes the development of environmental ethics to the emergence of the applied sciences after the post-Big Bang physics, post-Darwinian evolutionary biology and ecology where humanity has been led to question the ways in which it dwells upon the Earth (Fox 2000, 1). Hence, for him, “taken together, these major theoretical and practical challenges to our previous self understandings and ways of living have led, just since the 1970s, to the development of an emerging field of philosophy known as ‘environmental philosophy’ or more precisely ‘environmental ethics’” (Fox 2000, 1). The view that environmental ethics is a new phenomenon is a fallacy resulting from the premise that environmental ethics is a response to some environmental crisis. Just like Fox who sees environmental ethics as a newcomer, Varner thinks that “the environmental crisis forces us to re-examine our concept of moral standing. Traditionally, it is claimed, only human beings were thought to matter, morally speaking; but the environmental crisis will not be resolved until we break with tradition and acknowledge that nonhuman nature also has moral standing” (Varner 1998, 5). Here, the problem of conceiving environmental ethics as a response to the environmental crisis and deterioration is the assumption implied in Varner’s argument that, prior to the purported environmental crisis humanity had no conception of environmental ethics. In view of the foregoing, thus, environmental ethics as I will consider it shortly must be understood as part and parcel of human beings’ moral obligation towards nature and that this view is not new among some ancient Greek thinkers. Considering the history of philosophy and how is it related to environmental ethics as I will do in the next section, I will observe and argue that both anthropocentric and non-anthropocentric environmental ethics characteristic of ancient Greek philosophy, which is what I have in mind, take into consideration the mutual interconnectedness among human beings and also the interconnection between humanity and the natural environment. In this section I will consider environmental ethics broadly from its anthropocentric and non-anthropocentric standpoints and situate it in ancient Greek philosophical thinking. I will critically consider the extent to which environmental ethical thinking could be meaningfully talked of from classical Greek philosophy to contemporary Western philosophical perspectives. Following this pursuit, I will therefore submit the conclusion that, contrary to some philosophical perspectives that environmental ethics is a relatively new dispensation of the contemporary period, environmental ethics has traditionally been an inseparable part and parcel of the story and development of philosophy from the ancient philosophical period to contemporary philosophical thinking. 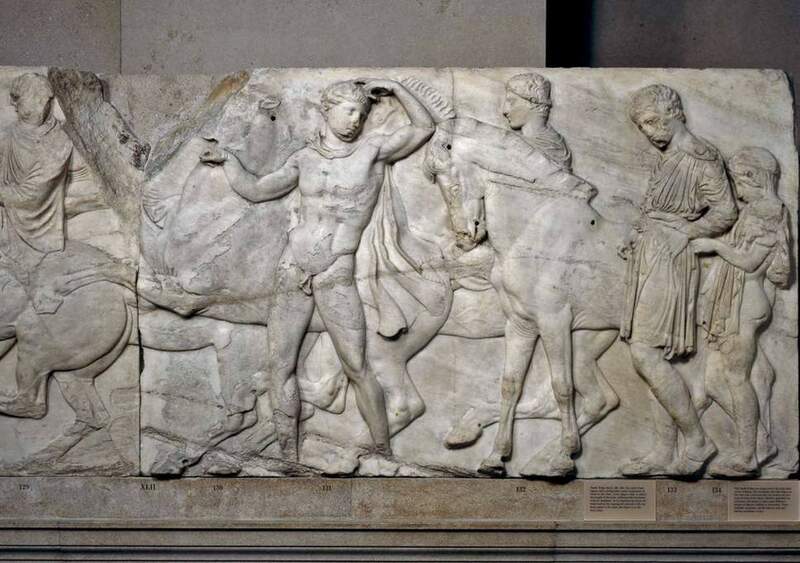 The ancient Greek period that I consider in this section is the period from around the sixth century B.C. 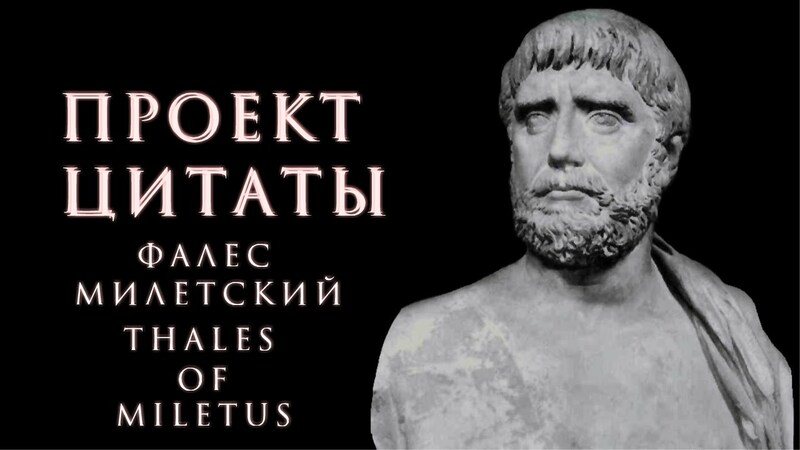 up to around the Aristotelian era. I argue that environmental ethical thinking in ancient Greek philosophy, which I also call “classical Greek philosophy”, has been downplayed – yet it is worth seriously considering despite its fairly anthropocentric strand. I also note that environmental ethical thinking in ancient Greek philosophy could be the basis for understanding the development of a sound environmental ethics. Although most historians of philosophy portray much of ancient Greek philosophy as silent about the need for an environmental ethics that would go towards safeguarding the environment, it cannot be totally disregarded as irrelevant towards influencing the development of environmental ethics. Citing Homer and Plato, Brian Coman comes to the conclusion that “there have always been individuals with a concern and interest in the state of health and of the beauty of our environment. [Hence] what has changed in recent times (the last two hundred years or so) has been the general philosophy underlying such interests and concerns” (Coman 2006, 55). In this regard, I therefore consider some of the most influential ancient Greek thinkers such as Thales, Plato and Aristotle as contributing to the development of meaningful environmental ethics. On the other hand, O’Connor examines the development of ancient Greek philosophical thinking and comes to the conclusion that “the earliest philosophical speculations were attempts to explain the origin and structure of the physical world” (O’Connor 1964, 2). Of course, O’Connor’s claim about the general slant of classical philosophical thinking is true. However, this is not enough basis and justification for the total dismissal of ancient or classical Greek philosophy as not being relevant to environmental ethical thinking. Carone (2001), for example, supports the thinking that I develop in my argument that environmental philosophers have not been fair in downplaying ancient Greek philosophy’s contribution to environmental ethical thinking. She argues that much of what comes from the works of ancient Greek thinkers like Thales, Anaximander, Anaximenes, Heraclitus and Parmenides can be regarded as a “hylozoistic worldview, in which matter (hylō) and life (zōē) are inseparable” (Carone 2001, 68). 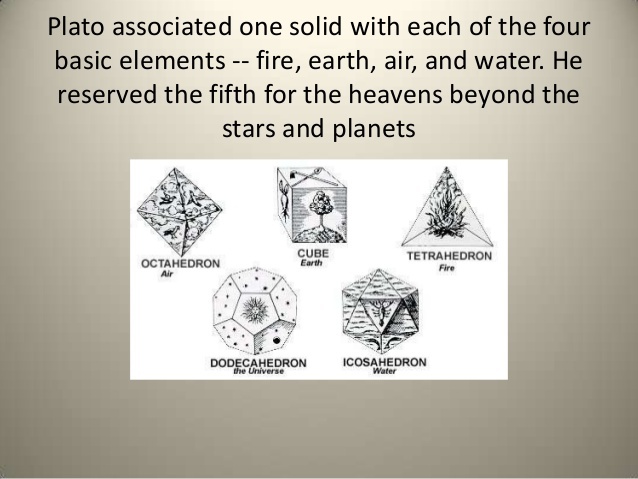 The strength of Carone’s argument is seen in the way Thales, Anaximander and Anaximenes attempt to explain the basic form of substance from a naturalistic perspective. In light of Carone’s noteworthy observation, it is interesting to note that much of what is contained in most of ancient Greek philosophical attempts, particularly pre-Socratic philosophy, are attempts to place the human person at the centre of the universe and see the extent to which humanity could explore his surrounding and understand “‘What things really are?’ and ‘How we can explain the process of change in things’” (Stumpf and Feiser 2008, 5). This perspective is in itself influential to the shaping of environmental ethics, particularly one that is anthropocentric. It is only unfortunate that the bulk of the literature that is available on classical or ancient philosophy is silent on the import of environmental ethical thinking in these classical thinkers. However, this silence should not be taken to imply that ancient philosophical thinking is not conscious of environmental ethics. It is only that it is largely anthropocentric in outlook – which is not a problem as such. Even if classical Greek philosophy is by and large informed by the need to consider the human person as rationally and morally superior to all other non-human beings and nature, still, there are some exceptions that make it possible for us to look at classical Greek philosophy as conscious of and informing both anthropocentric and non-anthropocentric environmental ethics. The problem is only that environmental ethical thinking in such era has not been critically explored further, particularly in light of how the philosophical articulations of these ancient thinkers could be understood from non-anthropocentric environmental ethical perspectives. 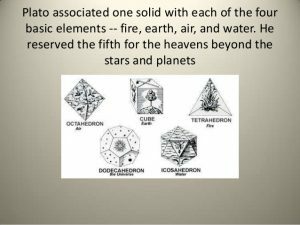 Considering the attempts of the works of eminent thinkers in ancient philosophy such as Thales (ca585 BC), Anaximander (ca610–546 BC), Anaximenes (585–528 BC), Pythagoras (ca 570–497 BC), Heraclitus (ca 540–480 BC), Parmenides (ca510), and Zeno (ca 489), most historians of philosophy are tempted to assume that early ancient Greek philosophy started as just speculative and independent attempts, but that these attempts were not in any way close to coming up with clear and consistent environmental ethical theories like the one witnessed in recent Western philosophical attempts. I therefore note that although these metaphysically minded philosophers raised pertinent metaphysical questions about how they could understand their entire cosmos, they are unfairly regarded as having contributed little in terms of real efforts to bring such metaphysical questions towards addressing environmental ethical issues. Traditionally, environmental ethics has not been attributed to these thinkers although “they shared an outlook that truly marks the beginning of philosophical inquiry” (Cohen, Curd and Reeve 2011, 2). In Thales, for example, I find some serious environmental ethical attempts to bridge the gap between animate and inanimate reality. The traditional division between animate and non-animate reality is one of the major supports for anthropocentric thinking. However, such a division is not characteristic of Thales’s thinking. Jonathan Barnes maintains that when Thales asserts that inanimate things like magnets have a soul (psuché) and that everything is full of spirits, he succeeds in putting forth the argument that the difference between animate and non-animate reality is an illusion (Barnes 1982, 9). This in itself, I find to be a very strong argument for the development of non-anthropocentric environmental ethics to be found in ancient philosophy, particularly in Thales because of the way in which he attempts to close the gap between the moral status of animals and that of non-human animals. A similar attempt is also prominent in the African vitalist tradition that I explore elsewhere (see also Chemhuru 2014, 73–88). Besides these pre-Socratic metaphysically-minded thinkers in ancient Greek philosophy, there are some prominent figures in early classical Greek philosophy, like Plato and Aristotle, who attempted to address serious environmental ethical questions. These thinkers, however, have rather been ignored and downplayed in terms of how they are critical of the extent to which humanity could go towards giving nature its intrinsic value. Although the phrase “intrinsic value” has a variety of senses attached to it, I take and make use of the one that O’Neill defined simply as the value of a thing as an end in itself (O’Neill 2001, 164). Notwithstanding the fact that both Plato and Aristotle are very much critical about how human beings ought to live, they contribute to environmental ethics. Although they are sometimes read as eudaemonists, still with regard to the question of how humans should relate with nature, the bulk of their writing, particularly Aristotle, suggests a fairly hierarchy-based and anthropocentric environmental ethics. Perhaps this is influenced by their privileging of humanity with the faculty of reason that humanity is endowed with, as opposed to all other creatures on planet Earth. In essence, while anthropocentric ethical questions mainly characterise much of the discussion of Plato and Aristotle’s social and political philosophy, on the other hand, non-anthropocentric environmental ethics as a philosophical inquiry into how human beings ought to relate equally with their surrounding has not been critically explored with the attempt to reconcile that traditional dominance of humanity over the natural environment. In like manner we may infer that, after the birth of animals, plants exist for their sake, and that the other animals exist for the sake of man, the tame for use and food, the wild, if not all, at least the greater part of them, for food, and for the provision of clothing and various instruments. Now, if nature makes nothing incomplete, and nothing in vain, the inference must be that she has made all animals for the sake of man. (Aristotle, Politics, 1256b, 15–22). This kind of thinking supports the traditional distinction and division between humanity and nature, thereby contributing to the dominance of human beings over the environment, although this rather anthropocentric view of environmental ethics is partly acceptable as a form of environmentalism in traditional Western and African philosophy as well. Singer (1985, 477) also contends that it is this view which has been predominant in the Western philosophical tradition. 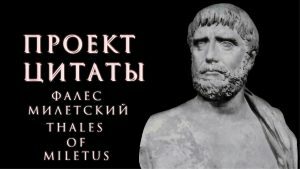 For Singer, Aristotle is among the founders of this tradition in Western philosophical thinking that holds the view that human beings naturally ought to claim dominion over the natural environment. Aristotle, thus, shares the thinking of most early Greek and Western philosophers who regard nature as some form of a hierarchy, in which the function of the less rational and hence the less perfect beings was to serve the more rational and more perfect (Singer 1985, 477). While it remains mainly anthropocentric, the attempt to see a hierarchy in terms of moral priority in Aristotle’s thinking shows some effort in being conscious of environmental ethics. The basis for accepting such thinking is centred on the understanding of environmental ethics as largely embracing both anthropocentric and non-anthropocentric environmental ethics – which is not a problem. Even Aristotle’s hierarchy-based ethical environmental thinking (that I alluded to earlier) serves to show that Aristotle is ready to embrace an environmental ethical thinking that takes into consideration the interests of both animate and non-animate reality, but of course taking into account the moral hierarchy of these. Aristotle, therefore, stands as one of the earliest thinkers on environmental ethics in ancient philosophy; although in the broader understanding of “environmental ethics” as inclusive of anthropocentrism. 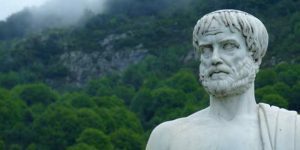 Just as the way ancient philosophy laid the ground for the development of serious philosophical thinking later, the development of environmental ethics could have been positively influenced by ancient environmental ethical thinking, particularly that of Aristotle. On the face of it, discourse on environmental ethics seems to be shaped by the emergence of current environmental problems that the world is now witnessing, such as air pollution, water pollution, global warming and climate change (see also Boss 2008, 735; O’Neill 1993, 1; Tangwa 2006, 735). However, from the argument that I espouse here, environmental ethics should not be taken as a contemporary philosophical enterprise that is responding to some of these environmental challenges that are currently facing the globe. In this article, I submit the argument that, despite its significant contribution to speculative philosophy based on free thinking, ancient Greek philosophy also influences the development of environmental ethical thinking in general. In particular, I have focused on environmental ethical thinking as implicit in ancient Greek philosophical thinking. Even Coman admits that “we may say at the outset, that whilst the environmental movement is of recent origin (it really got underway in the 1960s), some forms of environmentalism are as old as Western civilisation itself” (Coman 2006, 55). Although I admit that some ancient Greek philosophers were divided with regard to the moral value of non-human nature (Boss 2008, 736), above all, ancient Greek philosophy serves to lay the ground for the development of environmental ethics. While much of the debate on contemporary environmental ethics seems to present environmental ethics as a fairly new discourse, I seek to dispel that notion, as I present here elements of both anthropocentric and non-anthropocentric environmentalism in ancient Greek thinking. Aristotle. 2001. “Politics” (translated by Benjamin Jowett). In The Basic Works of Aristotle, edited by R. McKeon. New York: The Modern Library, 1127–1324. Barnes, J. 1982. The Pre-Socratic Philosophers. London: Routledge and Kegan Paul. Baxter, B. 2007. A Darwinian Worldview: Sociology, Environmental Ethics and the Work of Edward O. Wilson. Scotland: Ashgate Publishing Company. Behrens, K. G. 2011. 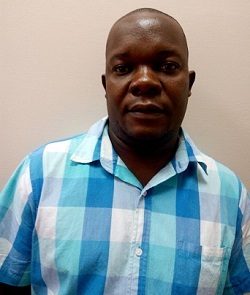 “African Philosophy, Thought and Practice, and Their Contribution to Environmental Ethics.” Unpublished doctoral thesis. Johannesburg: University of Johannesburg. Boss, J. 2008. Analysing Moral Issues. New York: McGraw-Hill. Brennan, A. 2010. Understanding Environmental Philosophy. Durban: Acumen Publishing. Callicott, J. B. 2001. “The Land Ethic.” In A Companion to Environmental Philosophy, edited by D. Jamieson. Oxford: Blackwell Publishers, 204–217. Carone, G. R. 2001. “The Classical Greek Tradition.” In A Companion to Environmental Philosophy, edited by D. Jamieson. Oxford: Blackwell Publishers, 67–80. Imafidon and John Ayotunde Isola Bewaji. Lanham: Lexington Books, 73–88. Cohen, M. S., Curd, P., and Reeve, C. D. C. 2011. Readings in Ancient Greek Philosophy: From Thales to Aristotle. Indianapolis: Hackett Publishing Company. Coman, B. 2006. “Whose Environment is it? Some Reflections on Modern Environmental Philosophy.” In National Observer. Melbourne: Council of the National Interest, Number 68, Autumn 2006, 55–62. Cooper, D. E. 2001. “Aristotle 384–322 BCE.” In Fifty Key Thinkers on the Environment, edited by J. A. Palmer. London and New York: Routledge, 12–17. Elliot, R. 1997. Faking Nature: The Ethics of Environmental Restoration. London: Routledge. Elliot, R. 2001.“Normative Ethics.” In A Companion to Environmental Philosophy, edited by D. Jamieson. Oxford: Blackwell Publishers, 177–191. Etieyibo, E. 2011. “An Outline of an Ecumenical Environmental Ethics.” The Trumpeter, 27 (3): 48–59. Fox, W. 2000. Ethics and the Built Environment. New York: Routledge. Morscher, E., Newmaier, O., and Simons, P. (Eds). 1998. Applied Ethics in a Troubled World. Boston: Kluwer Academic Publishers. Naess, N. 2002. Life’s Philosophy: Reason and Feeling in a Deeper World. Athens: The University of Georgia Press. O’Connor, D. J. 1964. A Critical History of Western Philosophy. New York: The Free Press. O’Neill, J. 1993. Ecology, Policy and Politics: Human Well-Being and the Natural World. New York: Routledge Publishers. O’Neill, J. 2001. “Meta-ethics.” In A Companion to Environmental Philosophy, edited by D. Jamieson Oxford: Blackwell Publishers, 163–176. Ojomo, P. A. 2011. “Environmental Ethics: An African Understanding.” Journal of Pan African Studies, 4 (3): 101–113. Peterson, A. L. 2001. Being Human: Ethics, Environment, and Our Place in the World. California: California University Press. Plato. 1974. “The Republic: Book IV” (translated by G.M.A Grube). In Plato’s Republic. Indianapolis: Hackett Publishing Company, 85–110. Singer, P. 1985. 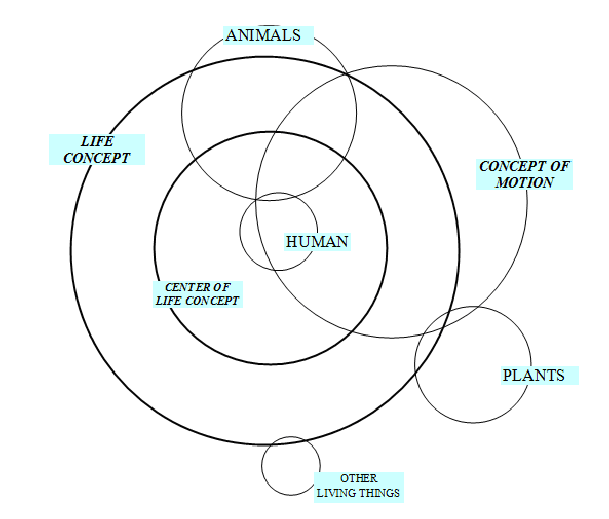 “Not for Humans Only: The Place of Nonhumans in Environmental Issues.” In Ethics: Theory and Practice, edited by M. Velasquez and C. Rostankowski. New Jersey: Prentice-Hall, 476–490. Stumpf, S. E. and Feiser, J. 2008. Socrates to Sartre and Beyond: A History of Philosophy. New York: McGraw-Hill. Tangwa, G. B. 2006. “Some African Reections on Biomedical and Environmental Ethics.” In A Companion to African Philosophy, edited by K. Wiredu. Oxford: Blackwell Publishing, 387–395. Varner, G. E. 1998. In Nature’s Interests? 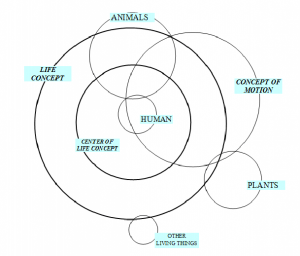 Interests, Animal Rights, and Environmental Ethics. Oxford: Oxford University Press. White, L. 1974. “The Historical roots of Our Ecological Crisis” [with discussion of St Francis; reprint, 1967]. Ecology and Religion in History. New York; Harper and Row. http://www.siena.edu/ellard/ historical roots of our ecologic.htm (accessed 31 January 2013). Originally published by Phronimon 18 (2017, 15-30), ISSN 2413-3086, https://doi.org/10.17159/2413-3086/2017/1954, University of South Africa (UNISA), under the terms of a Creative Commons Attribution-ShareAlike 4.0 International license. This entry was posted in Ancient, Climate Change, Environment, Greece, Greek, History, Philosophy. Bookmark the permalink.